P.S. 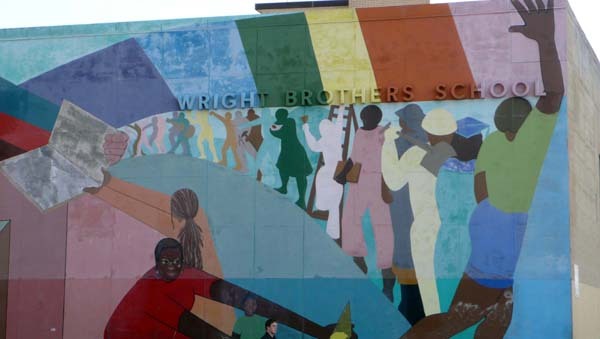 28, the Wright Brothers School, is an instantly welcoming place, with a modernist façade that conveys the cultural roots of the school in the Hamilton Heights community. 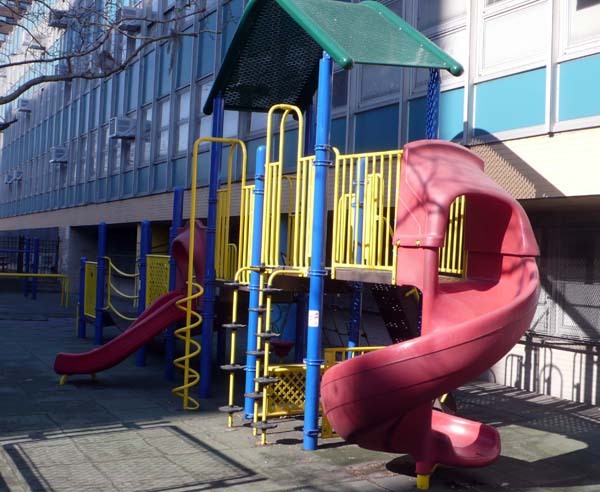 Located on the north side of West 155th Street between St. Nicholas and Amsterdam Avenues, the school takes up the entire city block. Built in the early 1960s, the brick façade is identified by its brightly colored murals. 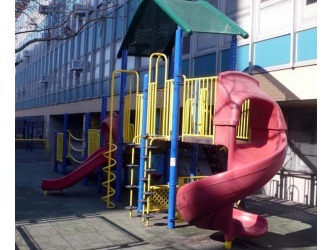 Open spaces are setback from the street; they include a small play area with equipment and garden boxes, surrounded by colorful, painted fencing. 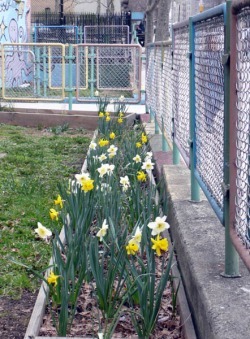 An adjacent pocket park also doubles as a schoolyard. This block in Hamilton Heights has a history of educational land use. Previously P.S. 46, built in the 1890s, was located on the southwest corner of West 156th Street and St. Nicholas Avenue and adjacent to the current P.S.28, the Wright Brothers School. The earlier school was designed by Charles B. J. Snyder. This architect was also the Superintendent of New York City schools in the Progressive Era and widely recognized for his innovation, design and transformation of the school building process. 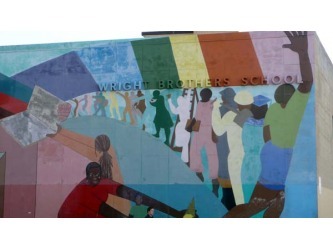 The Wright Brothers School serves a predominately Hispanic neighborhood, mostly Dominican immigrants. As a result its curriculum is rooted in linguistic programs and bilingual instruction. English Language Learners are offered instruction as part of the Dual Language Program (alternate Spanish and English days) and the Foreign Language Program (offering one period of Spanish a day). 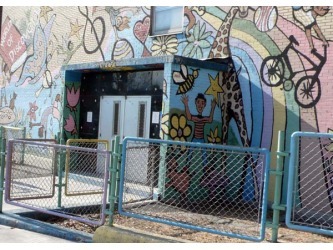 Another program of note is the Hamilton Heights Academy (with heavy parent involvement), which was housed in the Wright Brothers School until it was recently relocated to its own space nearby. Grades 4 and 5 are still housed at the old location. The Wright Brothers School also uses the Columbia University Teachers College method, which emphasizes independent reading, writing and group work. An indication of the school's commitment to strong academic leadership was the recognition of the principal, Elsa Nunez, by Columbia Teachers College with a fellowship for outstanding principals.